OA is a common condition that causes joints to become stiff and painful. Millions of people have this condition,18 so, if you have been diagnosed with it, you are not alone! 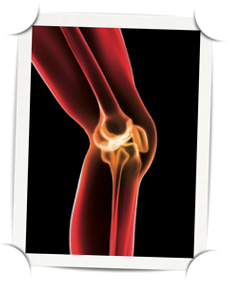 OA causes the smooth cartilage that covers and protects the ends of your bones to break down. In severe cases, your cartilage thins so much that your bones may begin to rub against each other. The lubricating ability of the natural fluid in your knee diminishes, and the cartilage no longer cushions the joint as well as it once did. 18 This results in stiffness, swelling, and pain that can make walking difficult. Your family history, age, weight, and any knee injuries you may have had can all play a role in developing OA of the knee.